COME IN - WE'RE AWESOME!! 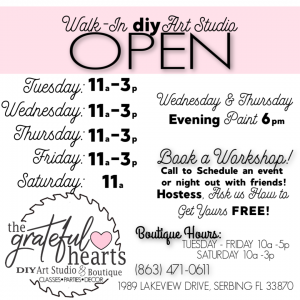 WALK-INS FOR THE ART STUDIO ARE WELCOME DURING STORE HOURS. 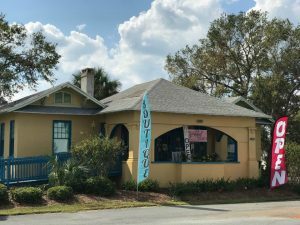 BOUTIQUE is ALWAYS OPEN during business hours! Need an evening time or want to schedule your own private party!!? View our calendar and book your date! We have open workshops and private dates available!! Let us know what works for you! JOIN OUR VIP LIST TODAY!! 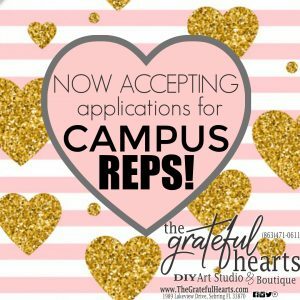 Sign up today to receive updates about classes, sales, promotions and more!